Finger Millet (Ragi) is a rich source of Calcium, Iron, Protein, Fiber and other minerals and is a gluten-free food. 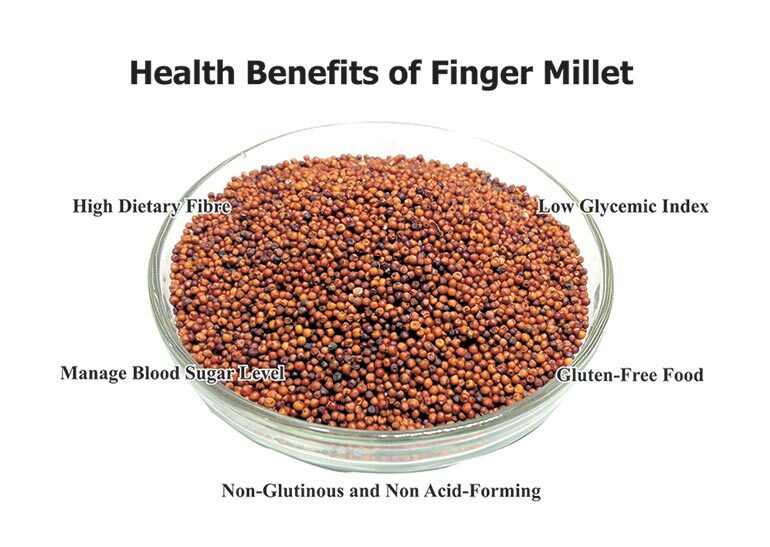 Finger millet contains essential amino acid Valine, Methionine, Isoleucine, Threonine and Tryptophan. Protein in food is broken down into amino acids, which are used by the body for various purposes, including building and maintaining muscle tissue. 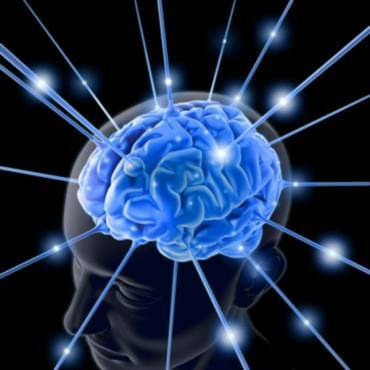 Amino acids produce enzymes which help in mood, concentration, sleep and other physiological factors. Ragi contain good source of calcium and vitamin D which helps in developing bone strength, maintaining bone health for growing children and aging people. It also works as an effective food to prevent Osteoporosis. Children make more bone tissue but an adult bone tissue loss phase begins at age of 50-70. 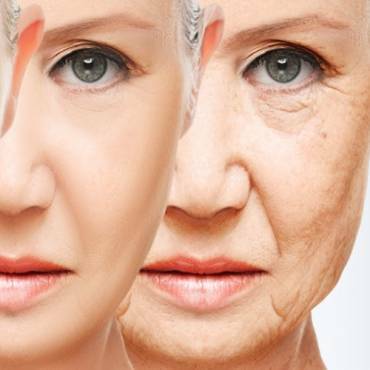 In women, after the age of 50, the situation becomes more severe due to other related factors such as hormonal changes of menopause. Ragi is also non-glutinous and non acid-forming and adding it in diet is a good way to get dietary calcium that body can absorb. Ragi reduce the risk of Diabetes Mellitus has a higher amount of dietary fiber and polyphenols compared to rice, wheat or any other grains which slows down the pace of digestion and hence glucose is released slowly into the blood helping in lowering blood sugar levels. Ragi contain amino acid Typtophan, low glycemic index that reduces appetite which control food cravings helping in weight loss and maintaining blood sugar within safe range. Ragi is a source of rich Iron that helps in increasing blood formation and boon to anemic patients or low hemoglobin levels, works well as an anti-ageing agent. It is also recommended to a lactating mother to boosts lactation if she is unable to produce sufficient milk to feed her infant. Sprouted Ragi contains vitamin C that makes the iron present in it easily absorbable by the body. People who suffer from liver diseases, high-blood pressure, heart diseases and asthma are also recommended to add Ragi in diet.